This is the story of hope for mankind. This is the greatest story ever told. Gospel Films are a ground-breaking, multi-language biblical resource that will transform the way people around the world discover, study, and engage with God's Word. For the first time, the complete unabridged text of Matthew, Mark, Luke, and John have been faithfully brought to life in visual form by the LUMO Project. By combining their compelling cinematic portrayal of the life of Jesus with our word-for-word audio Scriptures in the languages of the world, Gospel Films are revolutionizing the way we experience the Bible. In April of 2017, we were introduced to Tessie DeVore, president of LUMO—a ministry that has produced beautiful, historically accurate films of the Gospels. It wasn't long before the massive benefit of a partnership became clear—Faith Comes By Hearing and LUMO were parallel ministries working on two sides of the same tapestry! God, the Master Weaver, had put us together in His perfect timing. 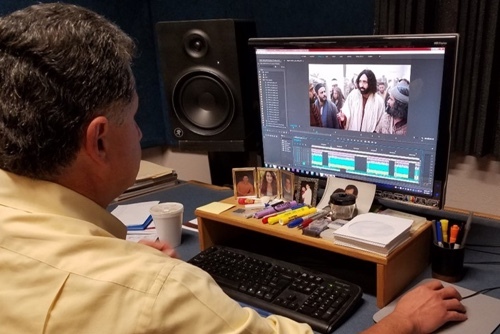 In August of that same year, LUMO graciously gave Faith Comes By Hearing the right to use their films, so that we could carefully overlay them with our existing Audio Bible recordings. After a few languages had been finished, a "test run" was conducted in Chad. The following is a testimony from that viewing. We stretched the portable screen over a blackboard, which worked well. We were inside of the church, so they were able to close the doors and windows and the image was very clear. During the showing, attended by about 50 people, we watched the first four chapters of Mark, pausing after every chapter to discuss what people had seen. The discussion was very lively and, on the whole, very positive. The Dangaleat Gospel Film is the first-ever film in the Dangaleat language. 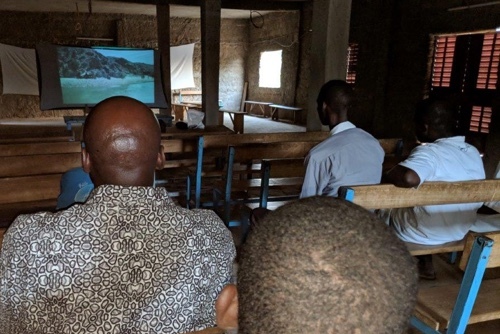 The Christian community has already met for a second time, and will finish watching the Gospel of Mark next Sunday. They will then send the projection kit out to the Dangaleat area where it can be passed from church to church. You can share Gospel Films with more communities! With your prayer and support, everyone on Earth will be able to find hope in Christ.